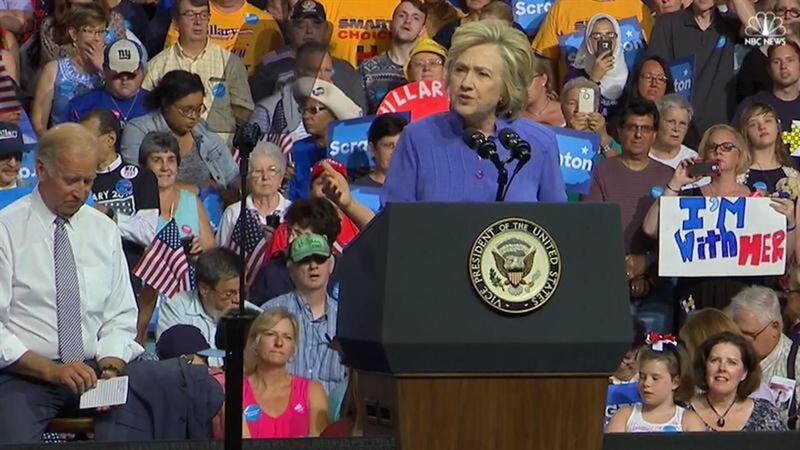 Vice President Joe Biden joined Democratic presidential nominee Hillary Clinton on the campaign trail Monday. 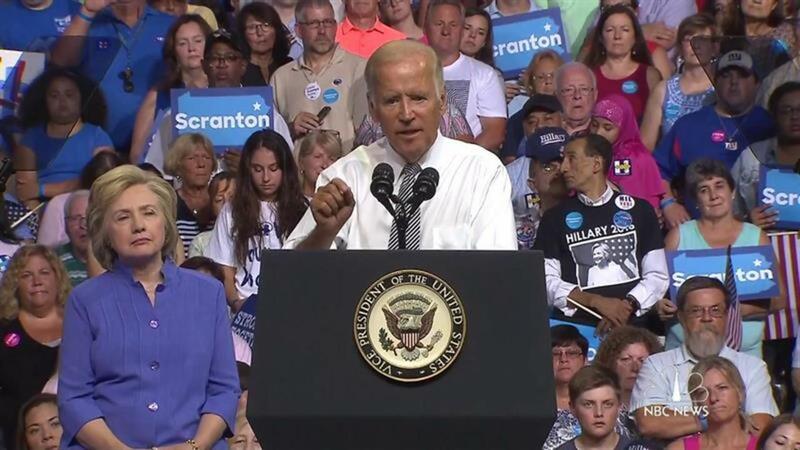 The duo rallied in Biden's hometown of Scranton, Pennsylvania. The city, known for its once-booming coal and textile industries, is also the hometown of Clinton's father, Hugh Rodham. The event marked the first time Biden has joined Clinton on the trail. The pair reached out to middle-class voters during the 12:45 p.m. event at Riverfront Sports. Biden also addressed the former secretary of state's foreign policy plan to counter Trump's planned speech on terrorism later Monday afternoon.